Preface: Cisco Systems wants the H.264 video codec to be the default standard for real-time communications on the Web, and is willing to put up its own money to make it happen. 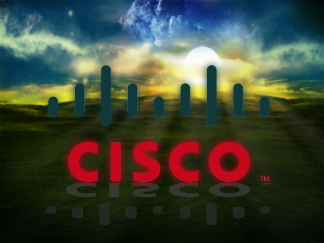 Networking titan Cisco announced Oct. 30 that it is open-sourcing its H.264 codec implementation to enable it to be used for free in Web communications by paying the licensing fee for the codec to MPEG LA rather than passing it along to users. In addition, Cisco is releasing a plug-in for open-source developers who want to use H.264 for free. This could make it easier for open-source projects to incorporate real-time streaming video into their software as the company has promised to cover the codec’s patent-licensing fees. “Cisco will not pass on our MPEG LA licensing costs for this module, and based on the current licensing environment, this will effectively make H.264 free for use in WebRTC,” Cisco’s Rowan Trollope said in a blog post on Wednesday. Some workarounds do exist. Microsoft has developed a plugin that allows Chrome to display H.264 video on Windows systems, for example. But getting every browser across every platform to support a common video codec has remained a challenge, particularly where free software is concerned. This situation has been a stumbling block for WebRTC, the Worldwide Web Consortium’s new standard for two-way real-time audio and video communications, because obviously getting two browsers to talk to each other requires them both to speak the same language. According to Mozilla Foundation CTO Brendan Eich, Cisco’s move should soon make it possible for any application to decode H.264 video without worrying about licensing implications and without paying any additional royalties to MPEG LA. But just because Cisco’s H.264 modules and code will be available to others at no cost doesn’t mean the codec is no longer patent-encumbered. The only thing making the free version possible is Cisco’s willingness to eat all of the patent licensing costs itself. To that end, he said, Mozilla is working on Daala, a new open-source video codec that it hopes will not just be unencumbered by patents but will also “leapfrog H.265 and VP9” in terms of video quality. In the meantime, Eich said, future versions of Firefox will automatically download and install whichever version of the Cisco H.264 codec is appropriate for the platform they are running on, unless the user chooses to disable that feature. The first such Firefox release is expected to ship in early 2014. At the same time, Mozilla will continue to support VP8 for both the HTML video element and WebRTC. “VP8 and H.264 are both good codecs for WebRTC, and we believe that at this point, users are best served by having both choices,” he wrote.